Take a look at our glass football display cases. 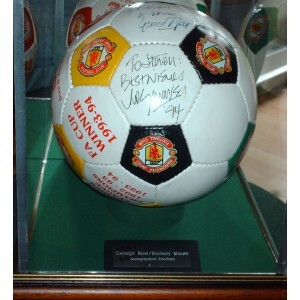 They are ideal for displaying your signed football or other sporting memorabilia. Made in the UK & top quality!